Our 5 teeing areas stretch from 4,906 to 6,881 yards through the spectacular natural beauty of rock outcroppings, creeks, ponds, and forest. 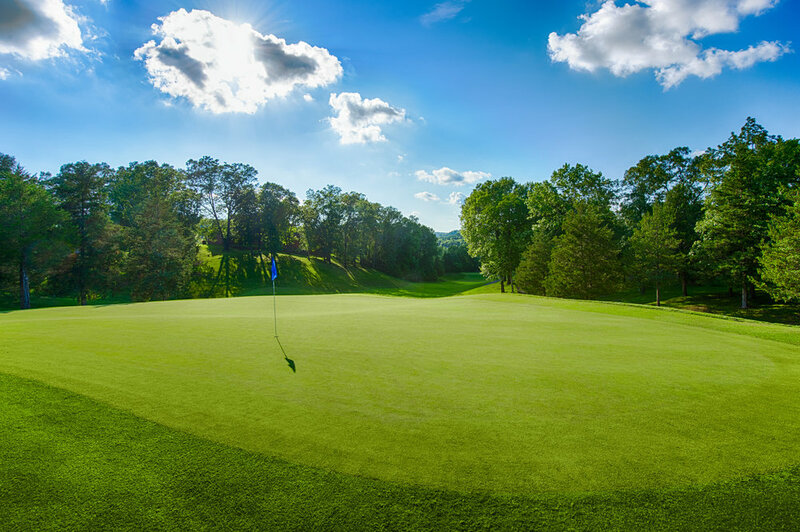 The brilliance of the surroundings perfectly frames our faultless Bentgrass greens and tree lined Zoysia fairways, all of which are meticulously maintained by our dedicated staff. *Our dress code on the golf course and practice areas require collared shirts. Blue jeans in good repair are allowed ONLY November 1st - March 31st. *Tee Times can be reserved 30 days prior to your desired date. Please use the "Book Now" button at the top of the page or you may phone the Pro Shop at (417) 335-8187 ext. 1.